NOTE: The two meals were sent by Chef’s Plate for free but all opinions are based on my own experience. Don’t you hate it when you buy too many groceries because everything comes in bulk and you end up wasting all of it since you simply don’t have enough time to cook? I remembered that happening to me all the time when I lived alone in Spain. That’s when Chef’s Plate comes in handy! On their website, you can select the receipes you want each week (which changes every week), and Chef’s Plate will deliver you all the ingredients you need in a refrigerated box. 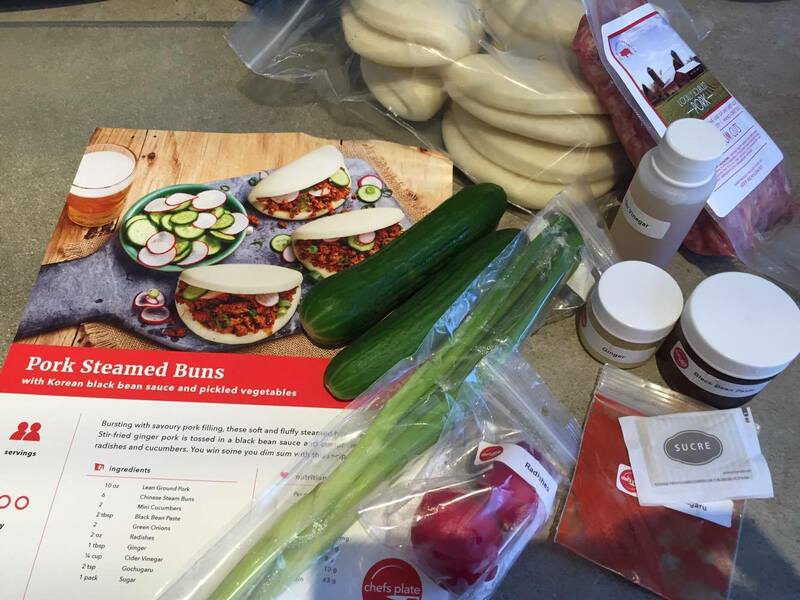 The ingredients are already portioned exactly as you need for each recipe so nothing goes to waste and you don’t need to measure anything. Plus, the refrigerated box comes with ice packs to ensure your food is still fresh when you get home. 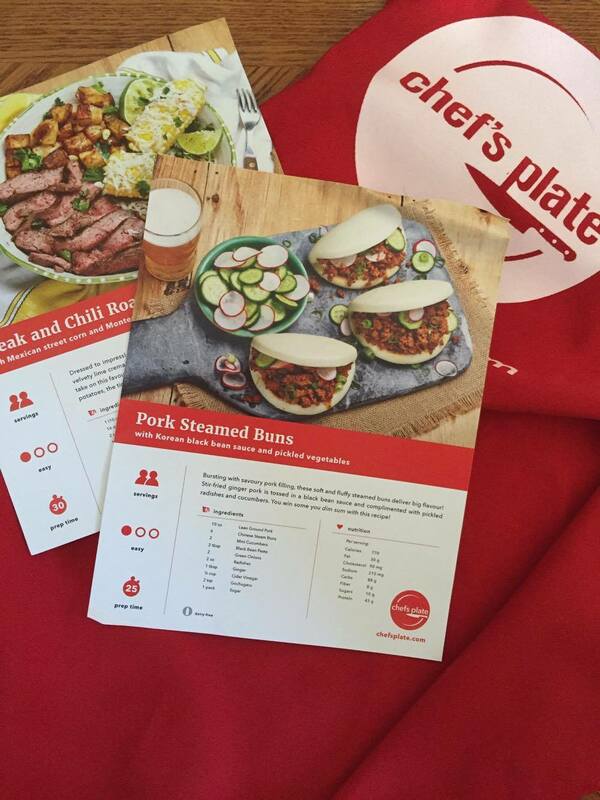 Your box will also come with colourful detailed recipe cards. I love the step by step instruction with pictures so you won’t mess up any steps! All recipes are categorized as easy, medium or hard when you select it on the website and most of them can be cooked in no more than 30 minutes. Since I was cooking for a family of 4 that night, we decided to go all out and cook both recipes, since we were given 2 recipes with each recipe portioned for 2 people. 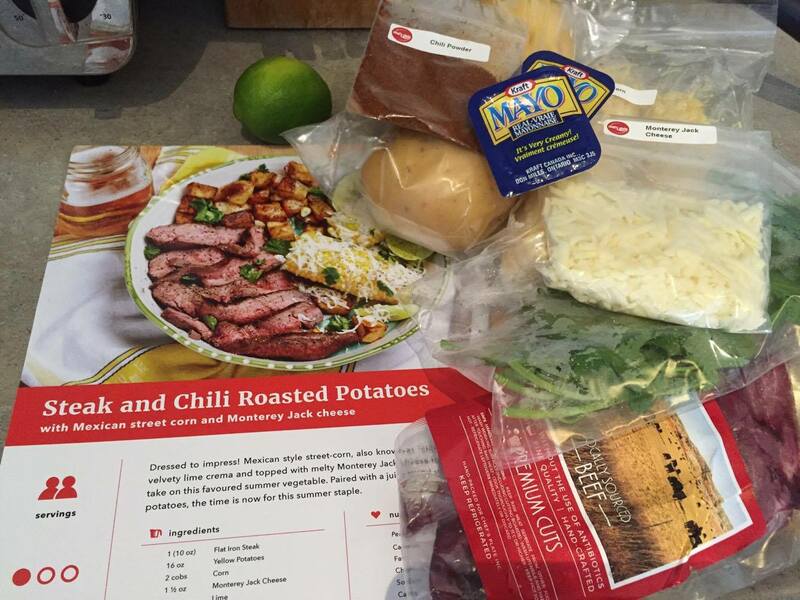 The first recipe was the Steak and Chili Roasted Potatoes. I really liked how all the ingredients were portioned and were even labeled so if you have never used an ingredient before, you’ll still be able to identify it. The meats were all locally sourced too which is always a plus! And this was our finished product! Looks pretty good for someone who barely ever cooks right? My family was surprised how fresh the steak was too! 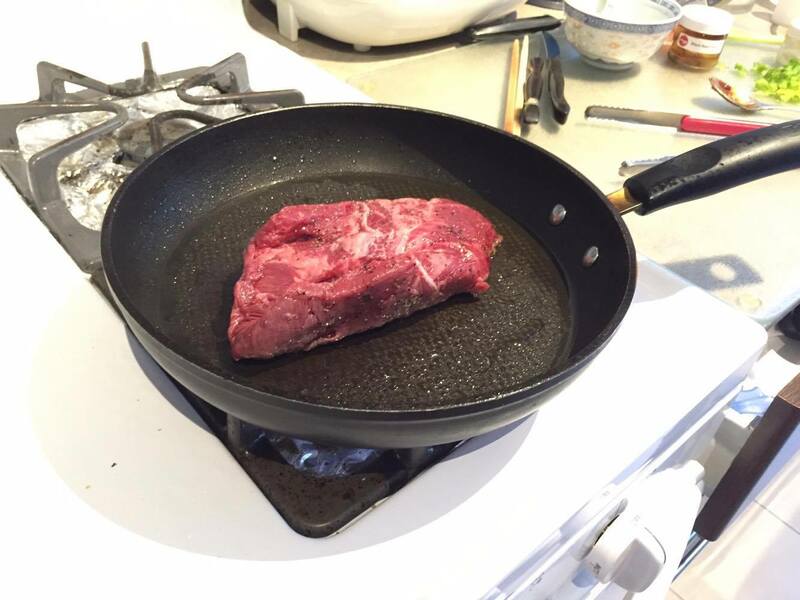 The recipe uses flat iron steak which is a cheaper cut, so the meat was obviously a little chewier, but we were still surprised by the quality and how you could really taste the beef. 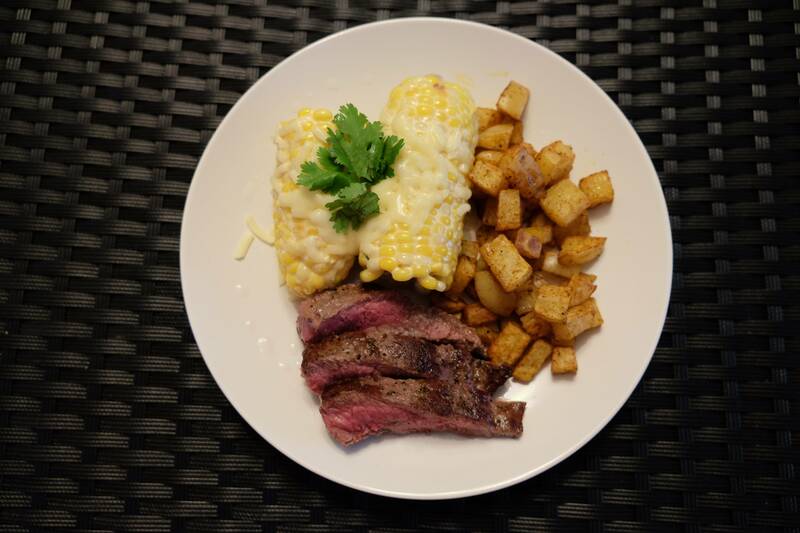 The corn was also absolutely delicious with a lime crema topped with Monterey Jack cheese. 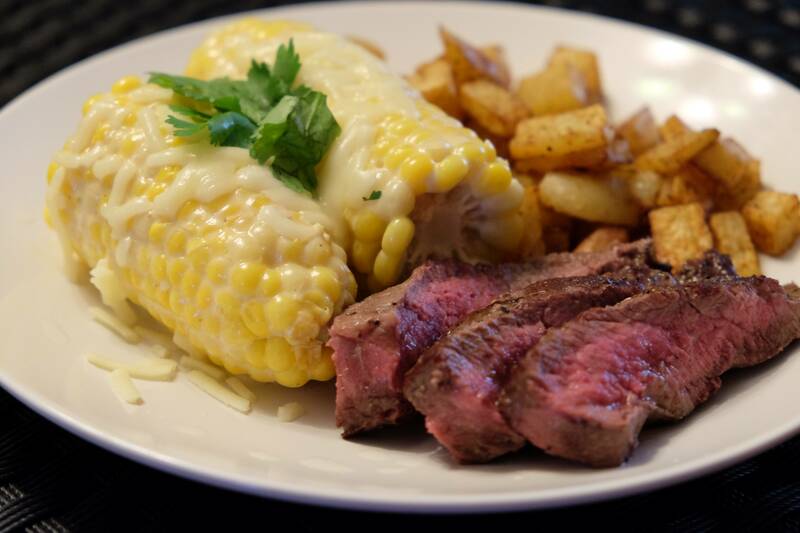 A little tangy from the lime but the cheese really made the corn creamy. The corn itself was also very sweet! As for the potatoes, they were seasoned with chili powder and is a recipe I look forward to making again! 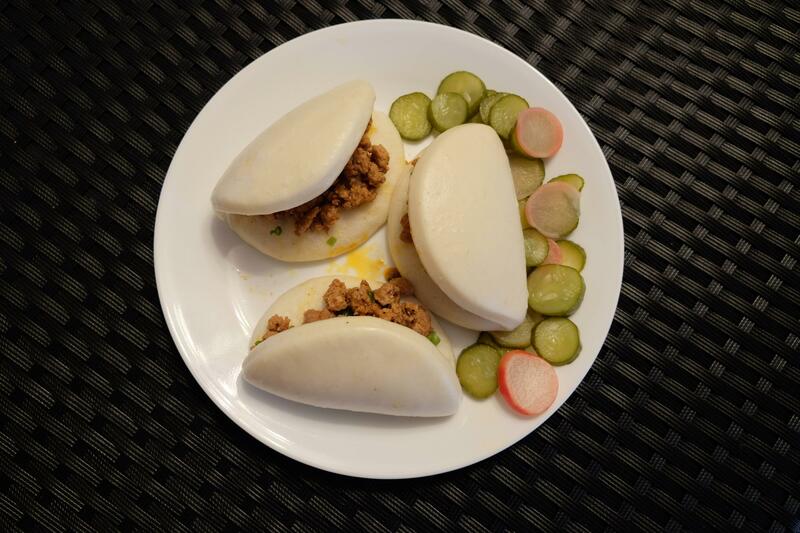 The second recipe was the Pork Steamed Buns. As you can see, Chef’s Plate has a variety of different cuisines, from Asian, Mexican to American flavours. It’s got something for everyone and that includes vegetarians. 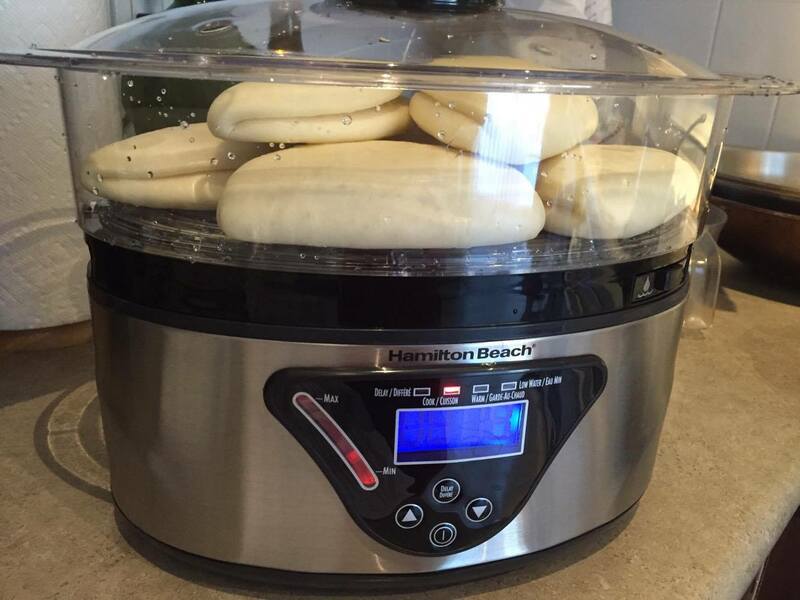 Although the recipe card said to just steam the buns over boiling water and a colander, we have a steamer, so we turned this on instead and got it done very quickly. You can definitely adapt to the recipe card, but the recipe can be done with a very basic kitchen. Salt and pepper would be the only additional ingredients you need to have. And here was the finished product! Everyone agreed that the buns were so soft and fluffy! They were filled with a savoury pork filling that was seasoned with ginger and Korean black bean sauce so definitely had the Asian flavours. Alongside was a side of pickled radishes and cucumber to open your appetite. 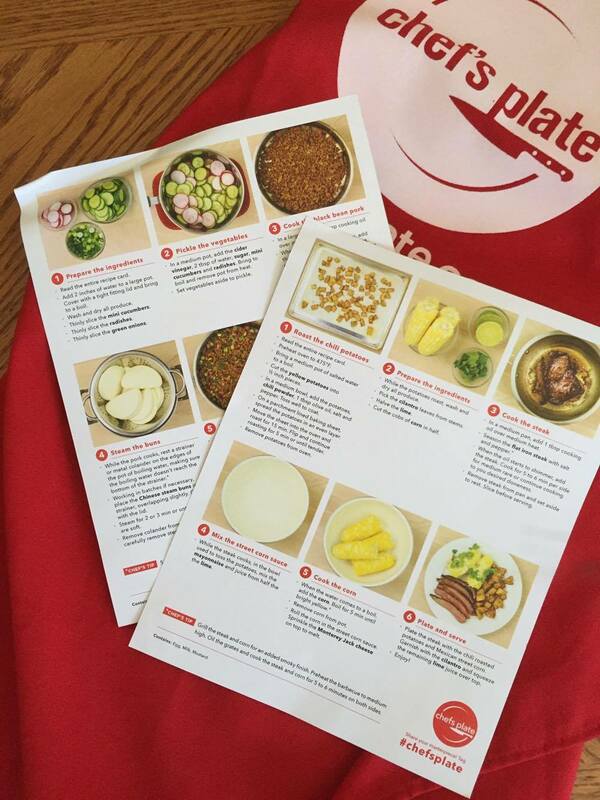 Overall, my family was very impressed with the quality of the ingredients and the recipes from Chef’s Plate. I think this is great for those who want to learn how to cook or have small families and don’t have a lot of time to cook or buy groceries because of work. 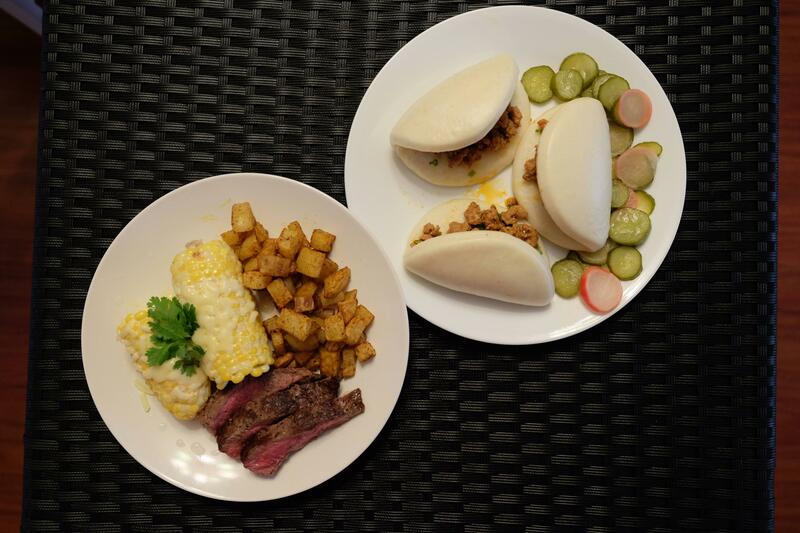 If you’re interested in giving Chef’s Plate a try, use the promo code #EVERYDAYISAFOODDAY or use this link to get 3 FREE plates on your first order! That’s over $30 of savings! For my birthday, I gave a list of restaurants I wanted to try to S and told him to surprise me with something. He ended up choosing AnnaLena which I was super excited about! 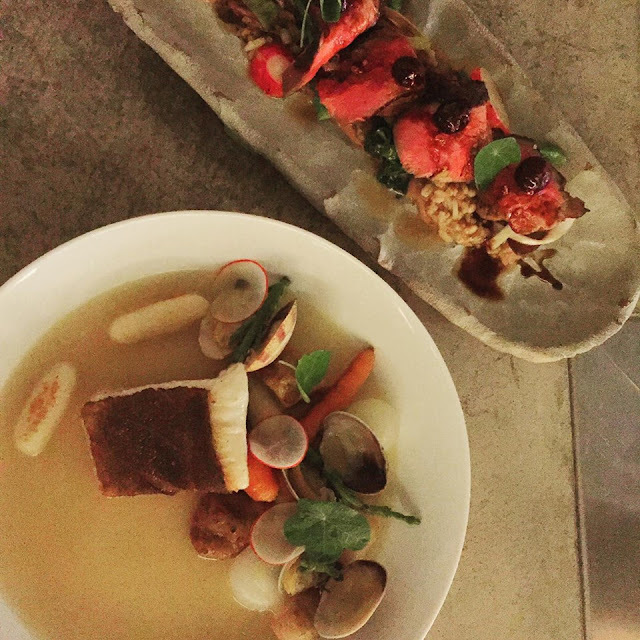 Located in the Kits area just before the Burrard Bridge, the kitchen is run by the talented executive chef, Michael Robbins. The interior is whimsical but cool with modern art and lego toys. The restaurant is quite small, so I’ve heard that people have had to make reservations well in advance. I’m guessing S did just that to secure us a spot. Because S had mentioned it was my birthday when he made reservations, I guess they noted it down and surprised us both with a complimentary cocktail. That was a really nice touch and the cocktail was delicious! As I had just came from happy hour, I really wasn’t that hungry so we ended up just trying out a few dishes. First was the Chicken, which was buttermilk fried, with a sesame dashi mayo, and accompanied with charred shishito peppers. These were so light and crispy! And the Asian style mayo was a nice twist and complemented the chicken so well. The second dish we tried was the Scallop which were seared, and came with smoked pork jowl, roast turnips, pickled apples, and cauliflower puree. The scallops were cooked to perfection without them being rubbery and the pork jowl was tender with a nice rebound texture. For dessert, we had the Chocolate, which featured white chocolate mousse, sesame toasted mango, and passion fruit sorbet. Perhaps I took too long to take pictures, but the sorbet began to melt quite quickly. Still, I loved the different textures in this dessert and the strong passion fruit flavour in the sorbet. Overall, just based on the few items we tried, I already enjoyed AnnaLena a lot and am looking forward to return and try the rest of the items. The portions are quite small for the price, but the quality and execution of the dishes are spot on. A great place if you want to celebrate a special occasion. – You’ll need to make reservations way in advance! Looking for a spot to go happy hour, I suggested we try Lift Bar & Grill. It’s situated by the water along the seawall before you enter Stanley Park. The restaurant has an awesome patio outside perfect for the summer. Happy hour is from 3-6pm daily, but unfortunately, you can only sit at the bar for happy hour. The bar seats around 10-15 people, so be sure to arrive early! 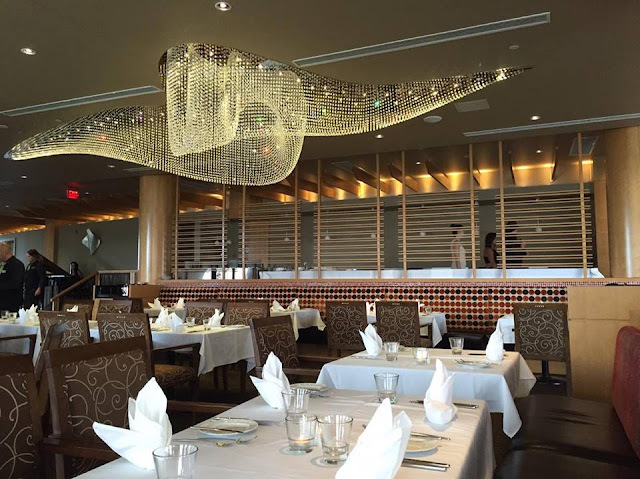 The decor inside is elegant and perfect for date night. I would highly recommend sitting outside if the weather is nice, or by the glass windows inside to enjoy the views. Their happy hour menu is pretty good with a variety of food other than their select drinks. Plus, they have buck-a-shuck oysters! As you can see, the prices for happy hour isn’t extremely cheap though. Their regular menu is quite pricey normally, so this is already discounted. We started off with some drinks which were part of the happy hour menu, all for $5. I wanted some oysters, so I got the Buck-a-Shuck Oysters. I don’t remember the names of the oysters but they were quite small, but sweet. I think they could’ve done a better job with the shucking though as I found some bits of shell in my oysters. The typical cocktail sauce, Tabasco and vinaigrette comes on the side. As I was quite hungry, I decided to get the Lobster Mac & Cheese which was on deal for $10. It came with atlantic lobster, grana padano white cheddar and mascarpone cheese. This was a pretty good deal since there were chunks of lobster meat in my mac n cheese! Usually, you just find little strands of meat in this dish, but I was surprised how much lobster I found in here. It’ll definitely fill you up as the cheese is very heavy. I also loved the crispy coating of bread crumbs on top. S got the Fish & Chips which normally comes with a single piece of local beer battered halibut and french fries. He was quite hungry, so he asked to add another piece of halibut. The normal size is $14 and I think the additional piece was around $6. So it came to around $20 which isn’t too bad for getting fish and chips (halibut) at a high end restaurant. Overall, we were quite pleased with the happy hour selection of food and drinks at Lift Bar & Grill. However, service was pretty much non-existent. We sat at the bar without menus for the longest time and we ended up having to ask for the menus. It also took incredibly long to get our bill. I would hope that their service is much better during regular hours, since this is the perfect place to take your date to, but if service is so poor, I wouldn’t risk ruining your date night here. Ambiance is spot on though! 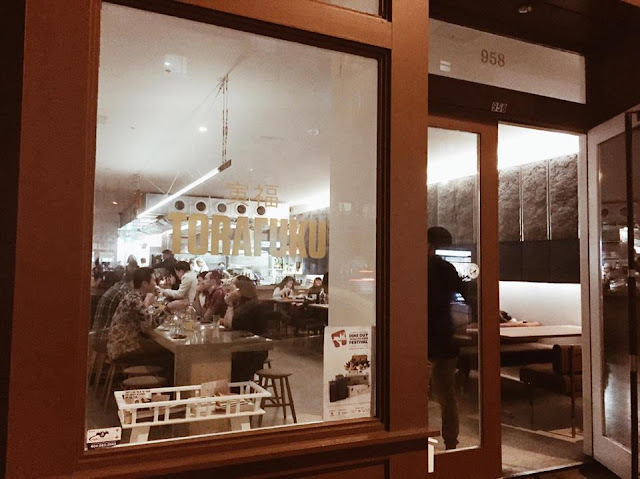 Our first Dine Out Vancouver for 2016 was at Torafuku. I’ve been wanting to try this new restaurant ever since having a good meal from their sister food truck, Le Tigre. The Dine Out menu was $30 per person. The interior is minimalist with barely any renovations. 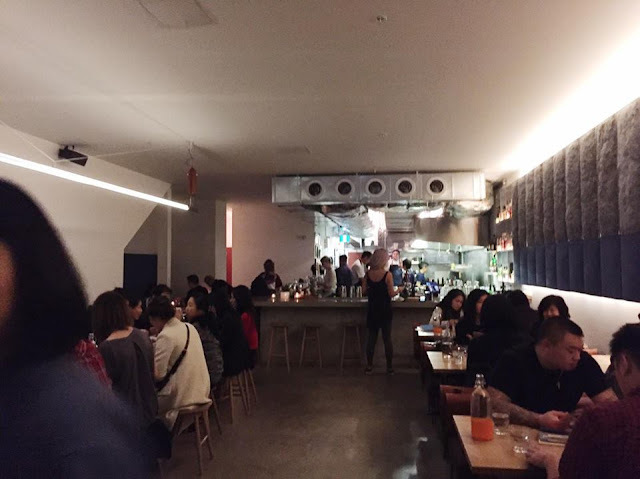 There is one long communal table and some booths on the side. We had made reservations early in advance but unfortunately we were still given bar seats. S was quite disappointed since he had wanted a more intimate seating. Bar seating was fun to watch the kitchen, but it definitely wasn’t very comfortable. 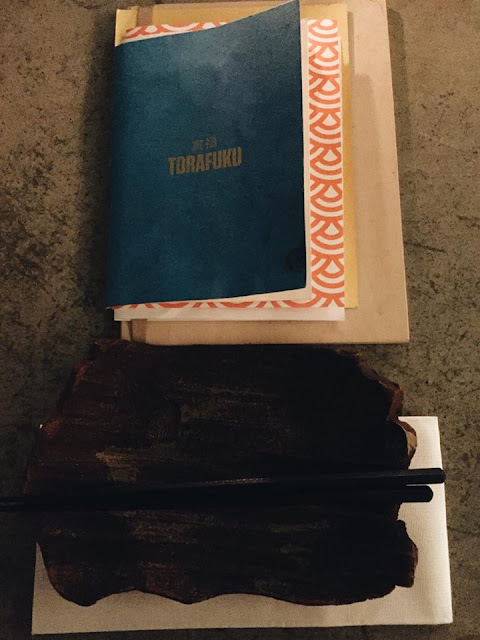 Love the wooden plates. Definitely has that hipster ambiance. Since we were seated at the bar, we got a good view of what was going on in the kitchen. Apparently, we were only allowed to choose one appetizer per two people for the Dine Out menu. We were slightly upset with that since we had already heard that portions would be small. (It did say in fine print at the bottom of the online menu, so my fault for missing that!) Anyways, we chose One Fish, Two Fish. 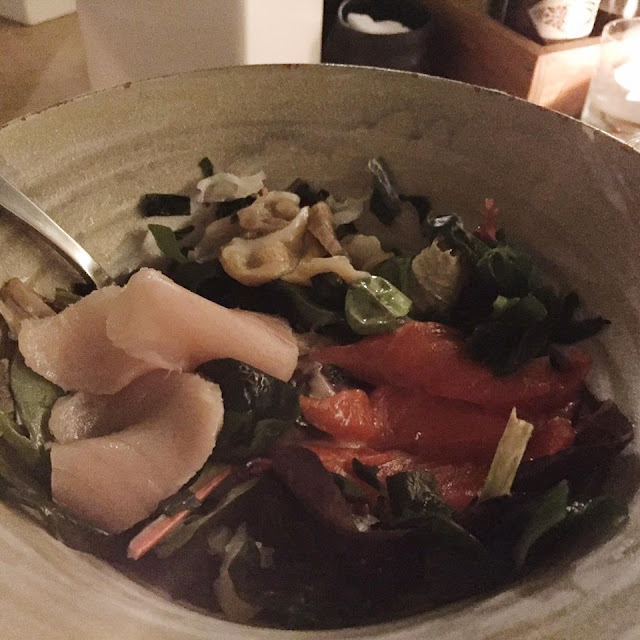 This was a bowl of sashimi salad with salmon, tuna, and geoduck sashimi on top of salad greens and wakame mixed with a sesame dressing. I quite liked this as the mix of seaweed and greens gave a nice texture, but I wish there was more dressing as it was slightly bland. Loved the texture of the geoduck though and the sashimi was quite fresh. 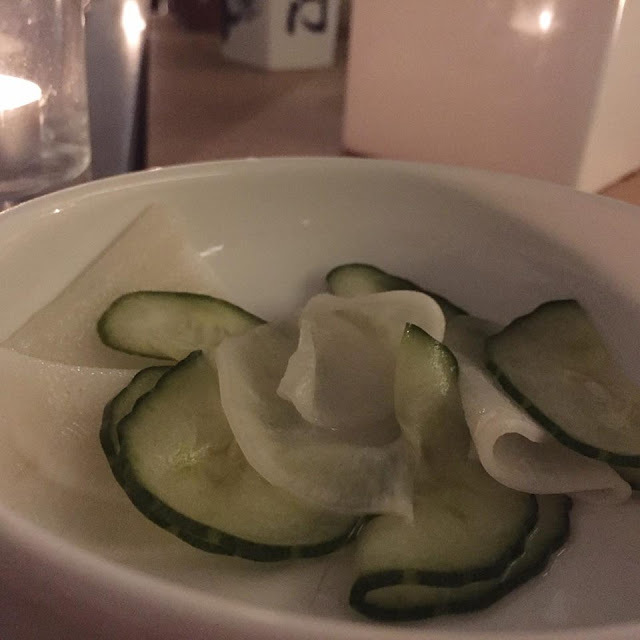 While waiting for our entrees, the server brought us a complimentary side dish of Pickled Cucumbers and Radish to share. I enjoyed the pickled flavour and it definitely opened up my stomach for more food. For my entree, I chose the Call of Duty (CoD). If you go through Torafuku’s menu, they have such witty names! 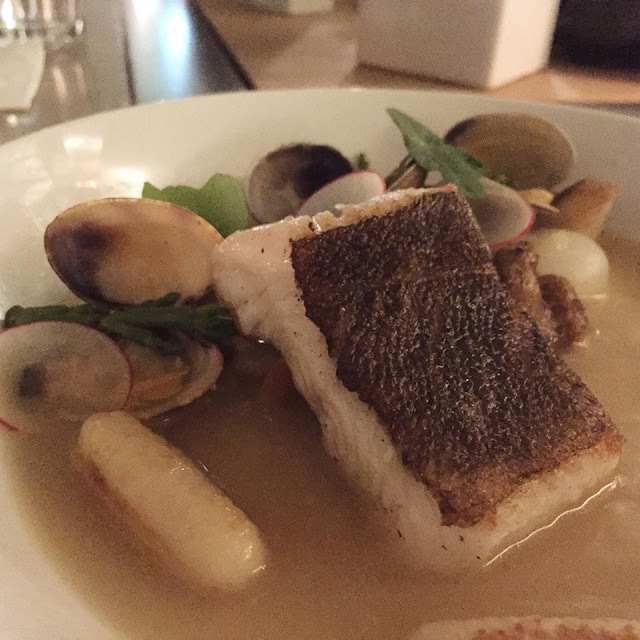 This consisted of crispy ling cod, clams, root veggies, and handmade gnocchi in sake a kumbu broth. The fish was moist and my favourite was the handmade gnocchi. The broth was very flavourful as well and I could’ve had a whole bowl of this. Veggies were slightly undercooked for my preference. Overall, a good dish, but the portion was way too small! The fish was almost half the size of usual portions. S got the Kare Kare, which I preferred out of the two entrees. It came with seared beef blade steak, on top of a 3 grain risotto, with pickled veggies, oxtail, and peanut ragu. 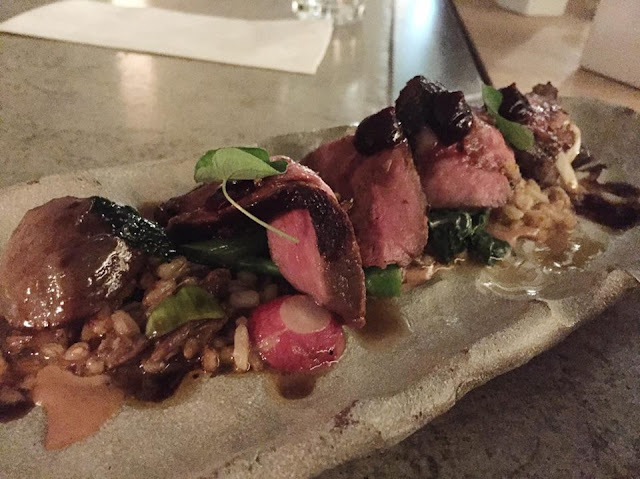 The flavours were delicious and the beef was cooked to a beautiful medium rare. Again, portions were way too small though. This was more like an appetizer. For dessert, the menu online had said we could choose between two options and I had seen pictures of others from the week earlier order the second option. However, our server told us that there was only the J-E-L-L-O that night. Quite disappointed since I wanted to try different desserts. However, the J-E-L-L-O has got to be one of the best desserts I’ve had in a long time. 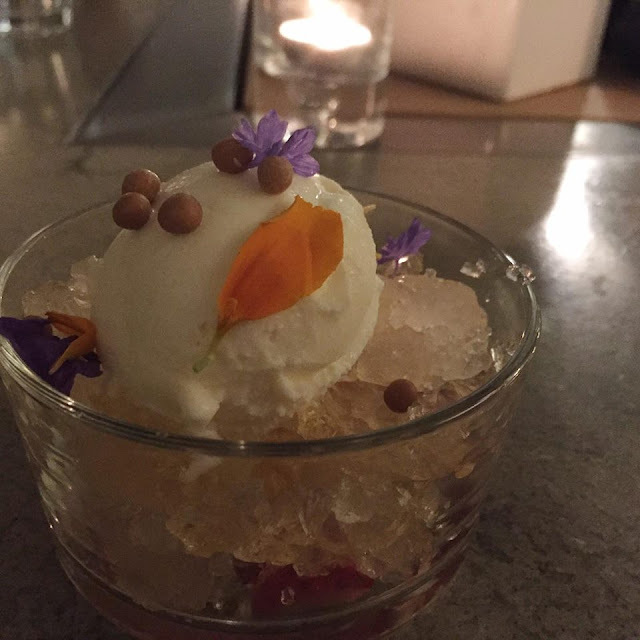 It was an oolong infused yuzu jello, with condensed milk ice cream and topped with crispy salted caramel. The dessert was light and refreshing and the milky flavour paired well with the slightly citrus jello. I had nothing to complain about this and could eat this over and over again! Overall, I was quite pleased with the dishes from the Dine Out menu. However, we both agreed that the portions were way too small! Especially the fact that we had to share an appetizer between the two of us and it still costed $30 per person. Service was also a bit cold. No one really checked up on us. We also ended up having to pay a visit to McDonald’s to fill up. I’m curious to see what it’s like during regular service though and will need to make a revisit to try their regular menu. – Jello dessert was the bomb! I’ve heard really good things about Tuc Craft Kitchen, so K and I found some time to check it out on a Saturday afternoon. On the weekends, they offer their brunch menu and the spot is very busy. 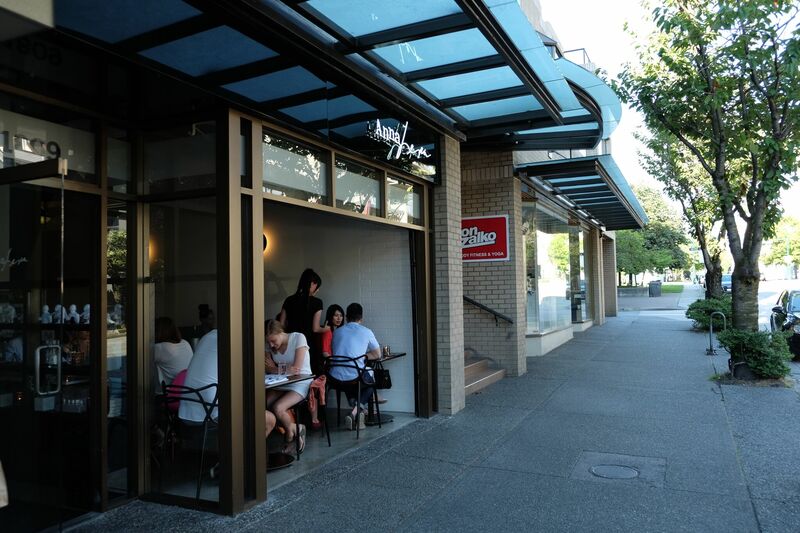 The restaurant is located in Gastown and has two levels. The interior has a European feel to it. K got the Vegetable Frittata, which featured three free run eggs, Swiss cheese, wilted kale, buttered leeks, sweet bell peppers, salsa verde, and toast. The portion was huge! Very flavourful and cheesy. For myself, I had the Irish Stew Skillet, which had two free run poached eggs, grass fed beef, yakima valley lamb, roasted button mushrooms, and BC new potatoes. At first, I thought the portion would be too little, but there’s actually tons of meat and potatoes, so it fills you up just right. The beef and lamb were very flavourful, with the potatoes being crispy on the outside. The poached eggs had a runny yolk and mixed well with the rest of the dish. Really enjoyed this! 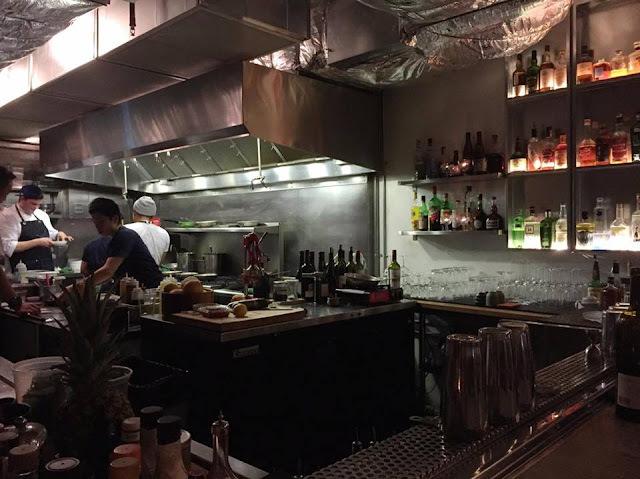 Based on the dishes we tried, I really enjoyed Tuc Craft Kitchen. I’m looking forward to coming back to try their famous fried chicken and waffles. Prices are quite reasonable for a Gastown location and service was pretty good. Will definitely return!